Corporate minnows will join whales in Japan’s outbound merger wave. While Tokyo-listed blue-chips are set to continue their overseas shopping spree in 2016, smaller companies are also increasingly ready to stage bold foreign raids. A flurry of financial-sector tie-ups helped Japanese dealmakers to another banner year in 2015, with outbound mergers and acquisitions nearing $77 billion by early December. The flood of cross-border deals looks set to continue. The combination of Japan’s low-growth market, shrinking population and super-low borrowing costs makes it very tempting to venture abroad. Despite having completed foreign purchases, titans like Canon, Mitsubishi UFJ and Nippon Life openly hunger for more. In general, Japanese mid-cap companies are more conservative and less international than their larger brethren. But they face the same existential challenges. Indeed, for those that earn more of their sales at home, the pressure to diversify is even greater. Recent deals suggest mindsets are shifting at midsize firms. Printer-maker Brother Industries bought Britain’s Domino Printing for $1.6 billion, while unlisted publisher Nikkei snapped up the Financial Times for $1.3 billion. There will be upsets. Japanese acquirers often settle on very full prices, making it harder for deals to pay off financially, especially if the target has little overlap with the buyer’s existing business. Cultural differences can make it harder to ensure head office and subsidiaries are pulling in the same direction. And the bigger the deal, relative to the buyer’s size, the higher the stakes. The swell of outbound activity only emphasises how few foreign buyers bid for Japanese groups. More inbound M&A would be a logical consequence of the push for greater shareholder power now underway in Japan. Yet it remains a hard sell with local boards, institutional investors and politicians. Perhaps it will take the high-profile failure of some outbound M&A deals to reverse the flow. In the coming year, however, it will be Japanese companies that do most of the buying. 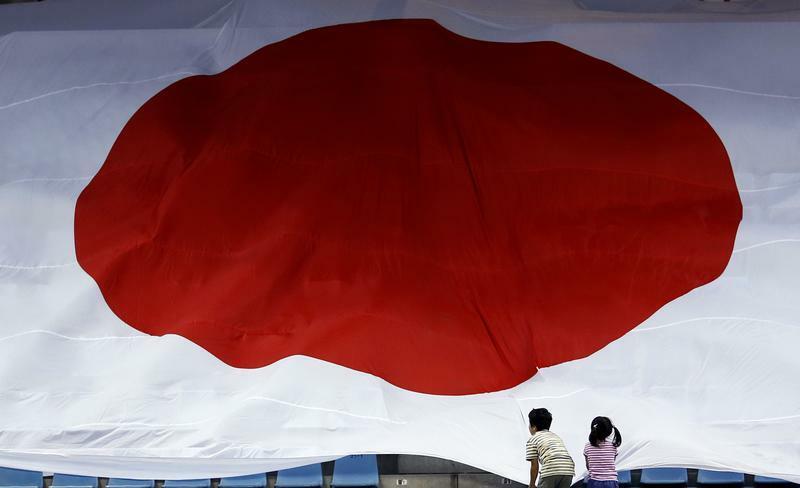 Children pull on a giant Japan national flag during the Davis Cup World Group play-off tennis match between Colombia's Alejandro Falla and Japan's Go Soeda in Tokyo September 15, 2013. Japanese buyers notched up a record $86.5 billion of cross-border mergers and acquisitions in the year to Dec. 29, 2015, according to Thomson Reuters data. The biggest deals were Tokio Marine’s $7.5 billion purchase of HCC Insurance; Japan Post’s $6 billion acquisition of Australia’s Toll Holdings; and a $10.4 billion investment in China’s CITIC by trading house Itochu alongside Thailand’s CP Group.